A Spanish rollout is happening "soon," ING said on Thursday. The Twitter announcement was met with skepticism though, one person claiming the company has been promising Apple Pay since the platform debuted in the U.S. in 2014. Several other banks already offer Spanish support. Nevertheless the announcement includes a graphic of an iPhone with an ING Mastercard ready for payment. 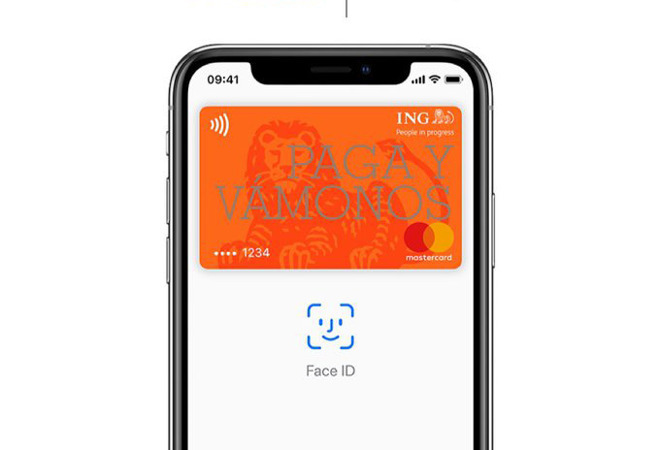 ING cards are currently compatible with Apple Pay in two countries, Australia and Poland. The bank has a much larger reach than that though, and in fact doesn't offer Apple Pay in its Dutch homeland, though that's because Apple itself has yet to launch the platform there. Movement in Spain could signal ING is ready to improve international coverage. AppleInsider has reached out for comment. There are still significant European gaps in Apple Pay, some others being Austria, Greece, Hungary, and Romania. Slovakia and the Czech Republic could join the fold this spring.